The Digital PTO Free Plan (sign up now) offers a high-quality website at no charge for PTA and PTO groups. 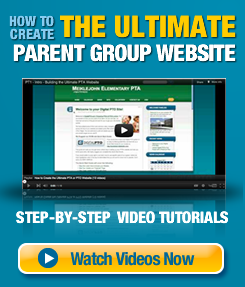 The Free Plan is a perfect opportunity to try out a Parent Group website with no costs at all. This is not a free trial website, this is a Free Forever website. The Free Plan offers unlimited news posts, a powerful Events Calendar, up to 10 informational pages as well as the ability to upload images and have them perfectly sized with one click. You can also upload PDF documents to your website. Free Plans are limited to 20 Mb of storage space. The Free Plan comes with two theme options with virtually limitless color choices to make your blog fit perfectly with your school colors (view a sample). Our Drag and Drop interface makes it easy to move widgets and blocks of information around on your website. Overall, the Free Plan is the best way to start a website for your PTA or PTO. It can then become either a stepping stone to our Premier Plans or it can remain your Parent Groups website forever. What are the biggest differences between the Free Plans and Paid Plans? There are a lot of differences between our Free and Premier Plans. Click Here to see the Full Comparison Chart. The main features that are not included with the Free Plans are all of the Forms and Data like the Family Registration Forms (critical if you plan to go green, want to produce a school phone directory, have to re-type data that’s been written on paper forms or need to submit annual reports to the National PTA), the Volunteer Interest forms and all of the other forms available. Additionally, the Free Plans do not have access to our Enhanced and Premium Themes. These themes are much more advanced than the Starter Themes and offer more options and design variation. The Free Plans do have third party (screened) advertisements to help supplement the free websites. 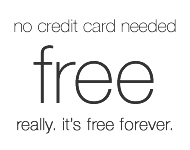 All of our Paid Plans are free from outside ads do not have any 3rd party ads at all.